Newport-based Office for National Statistics (ONS) and the Intellectual Property Office (IPO) have joined forces with homelessness charity Llamau to help support vulnerable youngsters in the area. Staff at ONS and IPO recently held a visit at their Cardiff Road site, hosting a group of young people that are currently undertaking a 13-week employability programme with Llamau. Llamau’s Learning 4 Life programme is an informal reintroduction to education for young people who, through no fault of their own, have dropped out of formal education at a young age. The programme supports young people aged 16 to 24 to build their qualifications and improve their employability, so that they are able to live independently in the future. While on site, the group were treated to a tour of the offices, including the multi-million-pound Data Science Campus. 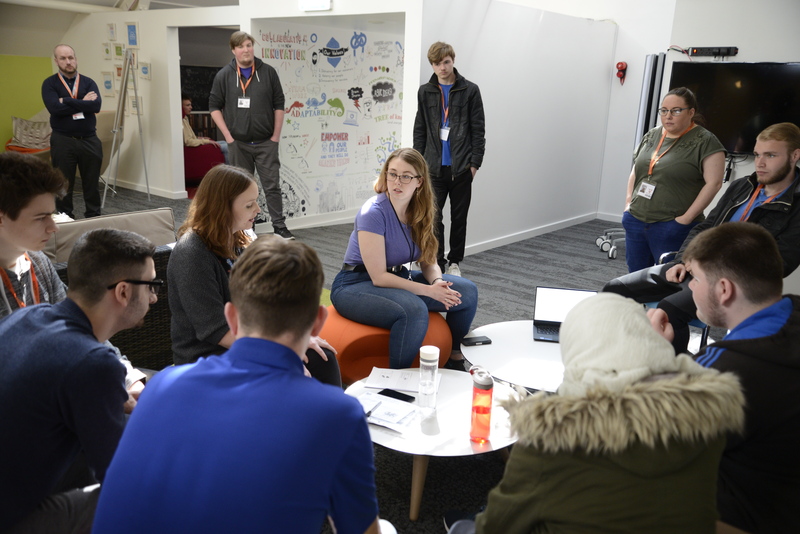 During their visit, the cohort also heard from both organisations’ various apprentices and were asked to fill out an online version of a Census form ahead of the next survey in 2021. Scott Howell, Head of Corporate Social Responsibility for the ONS, said: “We were delighted to meet with the Llamau group as part of their employability programme. We pride ourselves on always supporting the local community in which we are based. Sam Austin, Deputy Chief Executive for Llamau, added: “If we are to end youth homelessness in Wales, it is essential that young people are given the opportunity to develop the skills they will need for employment in the future. The group will return to the site in August where both ONS and IPO staff will be running mock interviews as part of the Llamau programme. Llamau was founded 30 years ago to provide homeless teenagers with a safe place to stay. Since its inception, the charity has supported over 67,000 young people, women and their children.